The Trump administration will propose raising to 25 percent its planned tariffs on $200 billion in Chinese imports, ratcheting up pressure on Beijing to return to the negotiating table, three people familiar with the internal deliberations said. 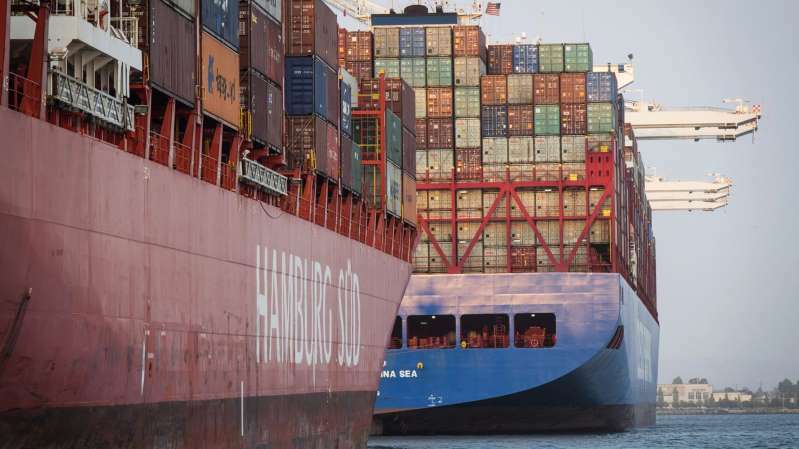 The U.S. imposed 25 percent tariffs on $34 billion of Chinese products in early July, and the review period on another $16 billion of imports ends Wednesday. President Donald Trump has threatened an additional $200 billion with levies of 10 percent, a level the administration may raise to 25 percent in a Federal Register notice in coming days, one of the people said. At the same time, representatives of U.S. Treasury Secretary Steven Mnuchin and Chinese Vice Premier Liu He are having private conversations as they look for ways to reengage in negotiations, according to people who spoke about the deliberations on condition of anonymity. [post_ads]In a sign the trade standoff is reverberating through Chinese politics, the Politburo signaled Tuesday that policy makers will focus more on supporting economic growth amid risks from a campaign to reduce debt and the dispute with Trump. The communique, which followed a meeting of the country’s most senior leaders led by President Xi Jinping, said the campaign to reduce leverage will continue at a measured pace while improving economic policies to make them more forward-looking, flexible and effective in the second half. The public comment period on the U.S. tariffs aimed at $200 billion ends Aug. 30 after public hearings Aug. 20-23, according to the U.S. Trade Representative’s office. Announcing a higher tariff is required ahead of the hearings and will send a signal that the Trump administration is upping the pressure on China to make serious concessions. Trump directed trade representative Robert Lighthizer to raise the tariff rate to 25 percent, the people said. The change isn’t final yet and may not go forward after a public review, the people said. Officials have cautioned that a specific timetable, the issues to be discussed and the format for talks aren’t finalized, but added there was agreement among the principals that more discussions need to take place. Chinese officials haven’t yet commented on the prospects for resuming talks. While American and Chinese officials have hinted at the possibility of restarting talks in recent weeks, it’s been almost two months since they last held high-level negotiations. Complicating Mnuchin’s efforts is a harder line taken by Lighthizer, who has jurisdiction over the U.S.’s 301 investigation that sparked the tariffs. That case concluded China was stealing American technology and tariffs were needed to offset the damage.